This small demo example shows the basic functionality of KnowWE and its corresponding knowledge representations for the formalization of diagnostic knowledge. We build a knowledge base for deriving the reasons for the faults of an imaginary printer. into every particular article containing knowledge. In the first step we need to define the terminology of the planned system, i.e., the questions (inputs into the system) and the solutions (outputs of the system). 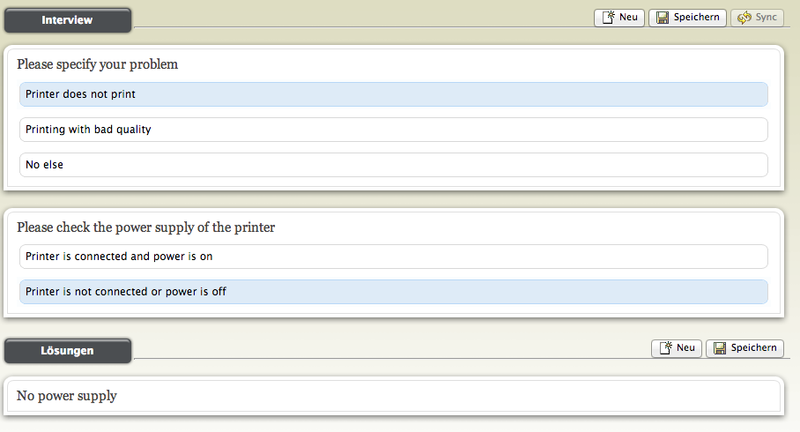 The definition of terms for questions and solutions is described in the article Tutorial Printer Problem - Terminology. Now we can test the knowledge base by running a dialog. 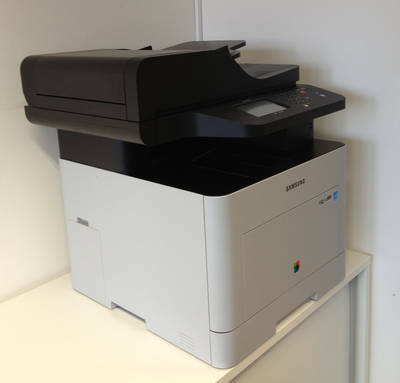 When opening the housing of the printer: Is there some dirt at the toner and the surrounding? Additionally, an interactive single-question dialog is available (provided by denkbares GmbH). Here, only the currently active question is shown that should be answered by the user. Derived solutions are printed at the end of the dialog session. The dialog is started by using the tools menu of the KnowledgeBase markup as shown in the image below. Starting the interactive dialog interface. An example dialog of the interactive interview is depicted in the following screenshot. An example run of the interactive denkbares dialog interface. The knowledge base can be tested continuously by defining test cases and continuous integration test. See the article Tutorial Printer Testcases for more information.